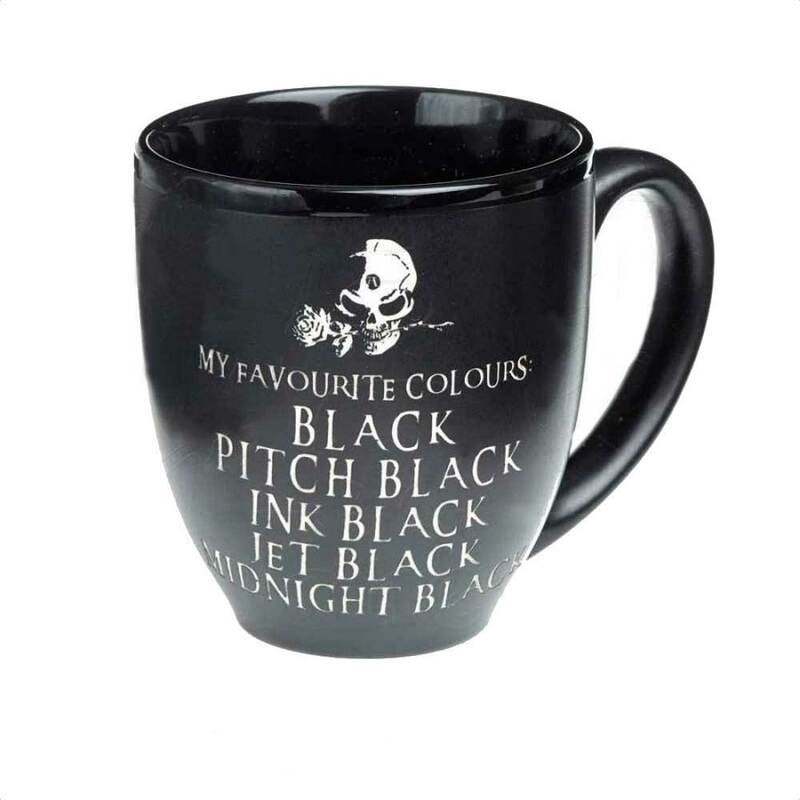 This substantial, high quality drinking mug is engraved with everyone’s favourite shade of black! 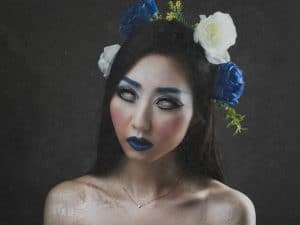 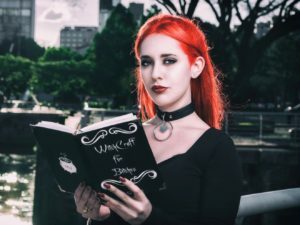 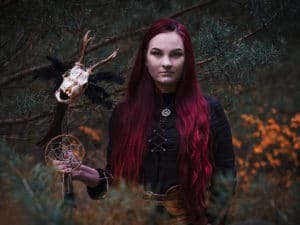 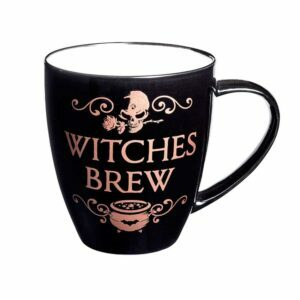 This mug is perfect for anyone searching for a totally unique gift with an alternative edge. 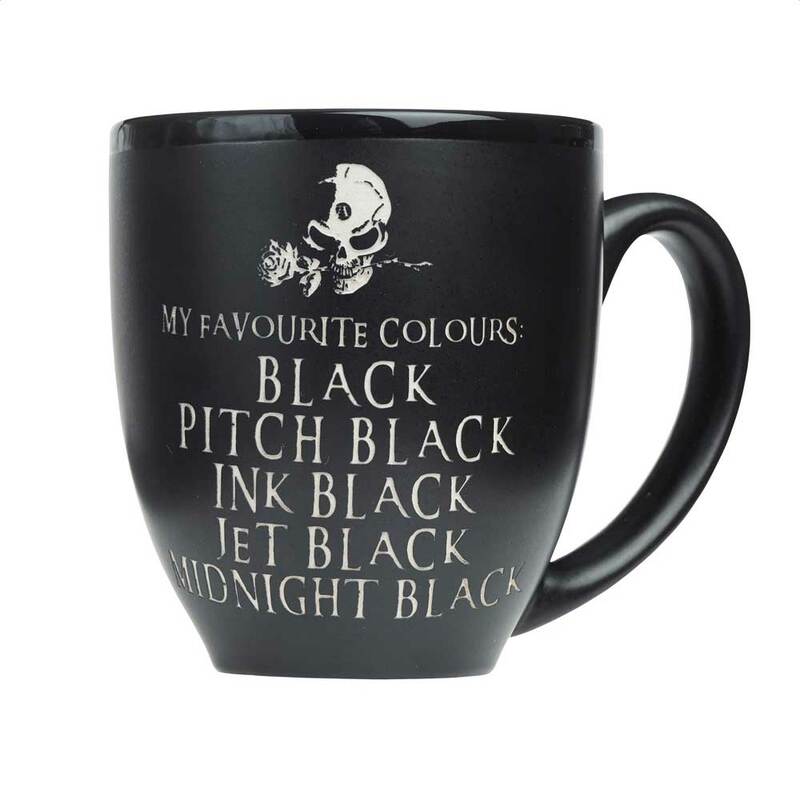 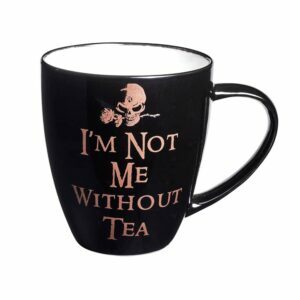 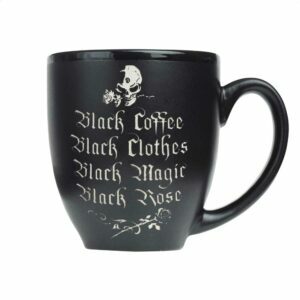 Black ceramic mug – Engraved with favourite colours and skull design.